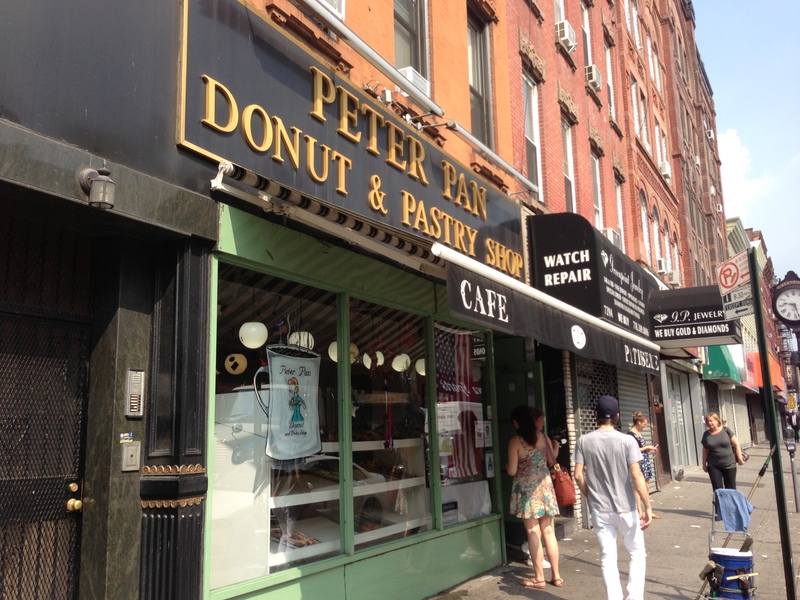 I was first introduced to Peter Pan Bakery by a work colleague of mine who lived in Greenpoint and knew I was donut-crazed. He brought a few to an edit session and I was quite impressed. However, I still felt the urge to make the trek out to Brooklyn to see the place for myself. Stepping into the bakery makes you feel like you’re walking into a coffee shop that has remained untouched for 60 years. 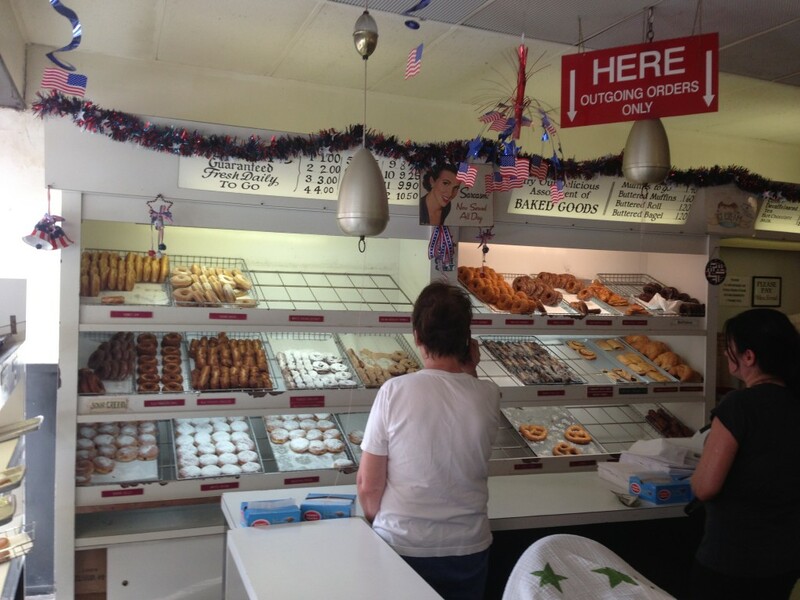 A classic mom & pop shop with no frills and a strong smell of donuts and coffee permeating made me immediately get into a donut-eating mood. 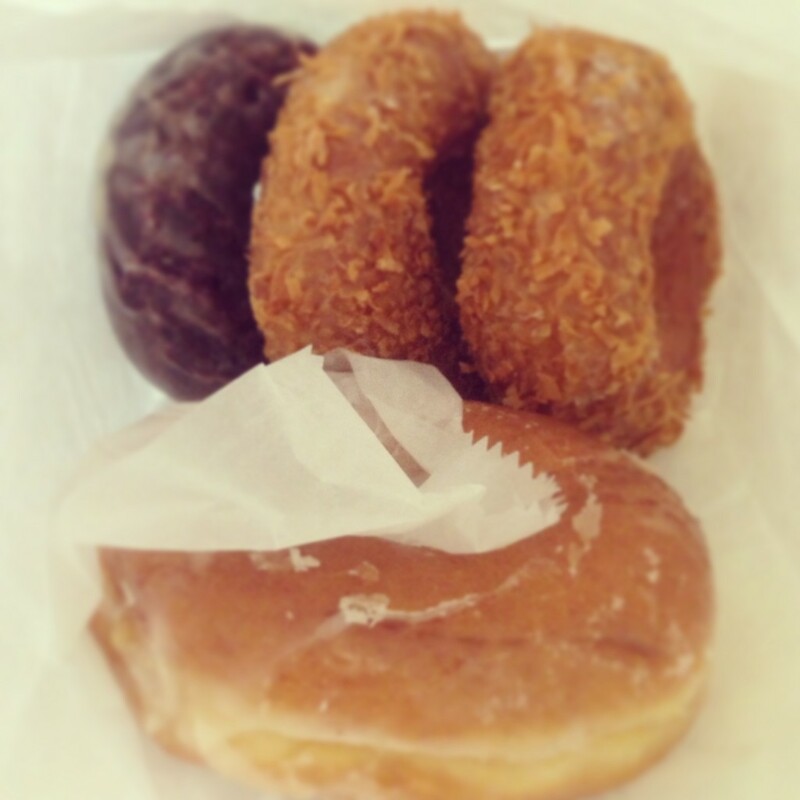 I ordered my 3: Glazed, Toasted Coconut, and Red Velvet. The Glazed was light and airy. It had a fresh, fried dough taste and wasn’t too sweet since its flavoring was more honey than sugar. 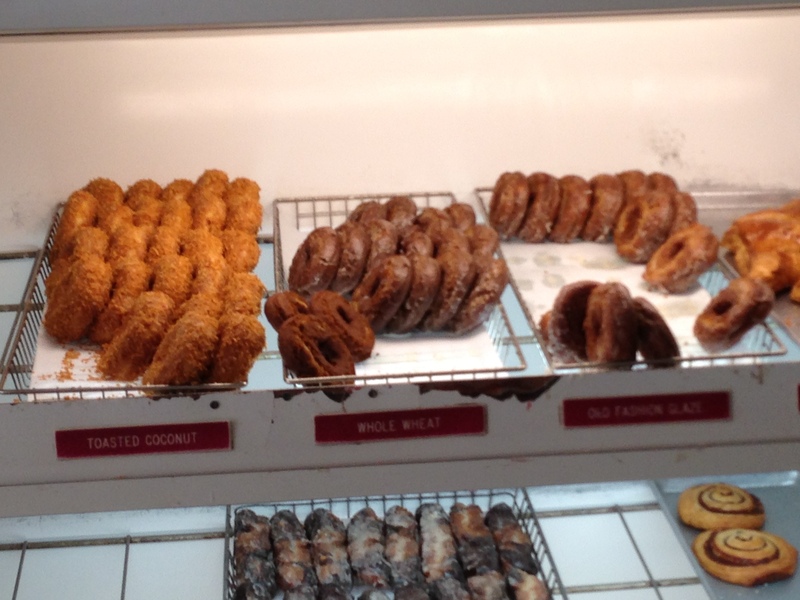 The toasted coconut was a yeast donut as well. Crunchy toasted coconut in a nice glaze. The red velvet changed it up a bit since it was a cake donut…a pretty delicious cake donut. I would have loved a cream cheese flavored glaze or icing on it, but the simple glaze was fine. 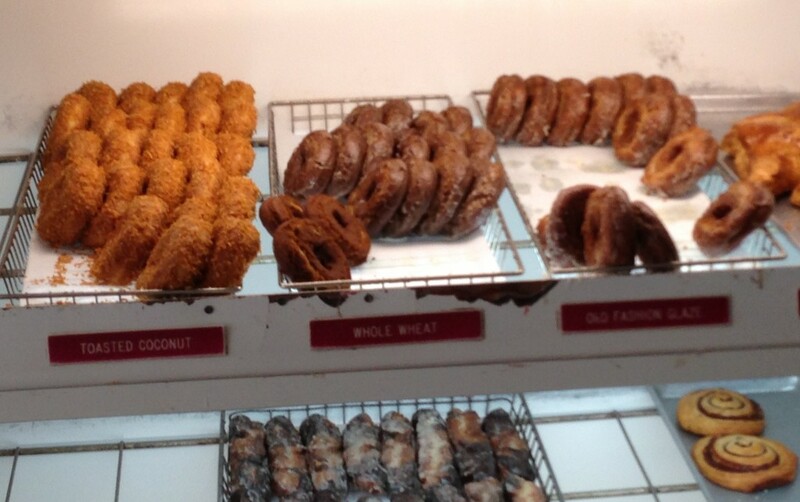 Next time, I’ll have to try the ice cream donut sandwiches. I think the red velvet will be my choice to wrap around some vanilla ice cream. What’s not to love about that idea! Peter Pan Bakery: A Documentary Film from Peter Haas on Vimeo.